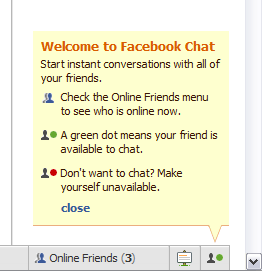 I read about Facebook Chat a while ago, and I’ve now just seen that it’s been enabled for me. This entry was posted in Communication and Communities, Social Networking and tagged chat, Facebook by Emma. Bookmark the permalink.